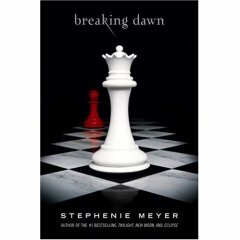 To be completely honest, Breaking Dawn, the end to the highly successful Twilight series by Stephenie Meyer, was not everything that I had hoped for. However, it does succeed in giving the delightful love story between Bella and Edward that has enthralled us for three books a resounding finish, and Meyer has pulled out all the stops drafting this story. Adding in a few new twists, lots of characters, and bringing back the vampires we love to hate, Breaking Dawn shatters the Twilight mold and boldly enters a whole new arena. One of the new features in Breaking Dawn is having a large section of the book in Jacob’s voice. This move opens up a door to a new spinoff series, even if the new series is not from the Jacob’s point of view, it does introduce readers to an “in-universe” point of view other than Bella’s. It also lets readers glimpse a different attitude in the same world. The parts of the book I found most enjoyable were in this section, and I liked the new way Meyer developed the back-story for some fringe characters. As for Bella, her story comes to a definite close, and even if you disagree with (or hate) how she got there, Breaking Dawn does provide a very traditional end to her storyline. As the end to a successful series, Breaking Dawn is worth a read. Plain curiosity about what happens to Bella after a three book build-up is the main reason most will pick up the book, and curiosity about the series is bound to increase with a movie coming out later this year.